Ghana Catholic Bishops’ Conference has commended Anas Aremeyaw Anas and his team of investigators for risking their lives and safety to carry out this investigation and for all previous efforts to help the nation to deal with the prevalence of bribery and corruption in Ghana. The conference is encouraging them to carry on with their fight against corruption without fear and had assured them of prayers. 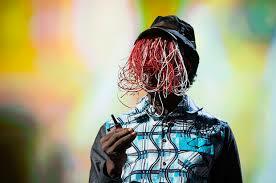 “We are pleased with the assurances by the Ghana Police Service that they are giving the necessary protection and security to Anas and his team and pray that the same protection and security will be extended to their families and close relatives”. 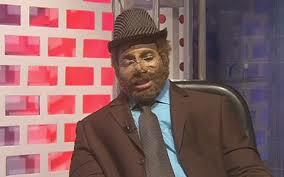 “We note with worry and pain the negative impact and potential damage that this exposé might have done to the image of our nation in the international community and call on all citizens to rise up to a change of attitude and behaviour that eschews bribery, corruption and other negative tendencies that weaken the pride of Ghana”. We, the members of the Ghana Catholic Bishops’ Conference, have followed with keen interest and attention the controversy and furore that have surrounded the recent exposé of alleged massive corruption in the judiciary by Ghana’s ace investigative journalist, Anas Aremeyaw Anas, and his Tiger Eye PI investigative team. We recall that the present report is not the first time that this eminent son of the soil has brought the nation’s attention to the prevalence of deep-seated bribery and corruption in her public and social life but, by far, this is one report that has woken all of us from our slumber and one that will be spoken about in the years to come. We believe that this alleged scandal has generated all the attention it has generated because it involves the third arm of Government and the very foundation upon which the nation and for that matter every civilized nation in the world is built, i.e., the rule of law. We commend Anas Aremeyaw Anas and his team of investigators for risking their lives and safety to carry out this investigation and for all previous efforts to help the nation to deal with the prevalence of bribery and corruption in our midst. We encourage them to carry on this fight against corruption without fear and we assure them of our prayers. 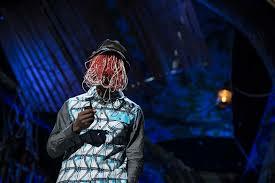 We are pleased with the assurances by the Ghana Police Service that they are giving the necessary protection and security to Anas and his team and pray that the same protection and security will be extended to their families and close relatives. We believe that this exposé is another wake-up call to all Ghanaians to come to terms with the extent to which bribery and corruption has eaten into the very fabric of the Ghanaian society and to dare to tackle the canker head-on in both our private and social lives. Today, we want to repeat the same words and to call on all Ghanaians to join the fight to eradicate bribery and corruption from our midst. We are aware that when the exposure of the alleged bribery among some judges became public, the response of the Chief Justice was to assure the nation that no one will be shielded when found culpable and to set up a Judicial Committee to investigate the 12 affected judges and 22 magistrates. We are also aware that this process has been challenged with three interlocutory injunction applications by some of the affected judges as at now. Our hope and plea like all Ghanaians is that the necessary judicial process and procedures will be expedited to ensure fairness and justice to all to bring a speedy resolution and closure to this case in the days ahead. If the Judicial Council establishes that these judges indeed took bribes, they should be made to face the full rigours of the law. In such situations, the cases tried by these judges should be reviewed or reheard by the affected parties or the Attorney General as the case may be to ensure that true justice had prevailed in their judicial processes. We believe in the ability of the Chief Justice and the Judicial Council to resolve the pending issues expeditiously and to carry out the necessary reforms to restore integrity and honour to our judicial system while we pledge to accompany the process with our support and prayers. We wish to commend those judges and magistrates who were resolute and steadfast in rejecting the offer of bribes and not succumbing to the temptation of lust for money and we hold them as examples and rays of light and hope for all Ghanaians in general and lawyers in particular to emulate. Fortunately, we still have men and women of proven integrity and honour in Ghana and so all hope is not lost in the battle against bribery and corruption. We note with worry and pain the negative impact and potential damage that this exposé might have done to the image of our nation in the international community and call on all citizens to rise up to a change of attitude and behaviour that eschews bribery, corruption and other negative tendencies that weaken the pride of Ghana. We, the members of the Ghana Catholic Bishops’ Conference, believe that Ghanaians still have the ability to work together in fighting against the twin diseases of bribery and corruption that have bedevilled our country for some time now. All is not lost. As human beings, we are capable of the worst but we are also capable of rising above ourselves, choosing again what is good, and making a new start. Let us resolve from today to say no to bribery and corruption and yes to a life of honesty, integrity and justice. Our prayer is that the God of justice and peace will help all of us as citizens of Ghana to uphold freedom and justice and practise them. We join St. Paul in encouraging all Ghanaians with these words: “Finally, beloved, whatever is true, whatever is honourable, whatever is just, whatever is pure, whatever is pleasing, whatever is commendable, if there is any excellence and if there is anything worthy of praise, think about these things” ((Phil. 4:8). May God bless our homeland Ghana and make our nation great and strong!